Costa Mesa Councilwoman Wendy Leece hosted another successful neighborhood town hall on the Eastside Monday night. 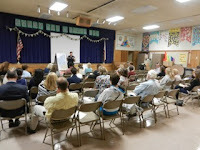 Nearly 40 of our friends and neighbors converged on Woodland Elementary School for a public safety-oriented meeting which included detailed reports on the ongoing coyote infestation of our city and an explanation of crime statistics. 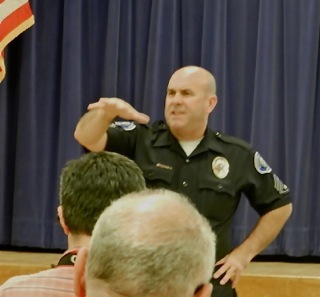 Costa Mesa Police Department Sergeant Phil Myers, who heads up the animal control operations, fielded questions about the coyote issue and showed an informative video that will be available for viewing on the Police Department web site later this week. 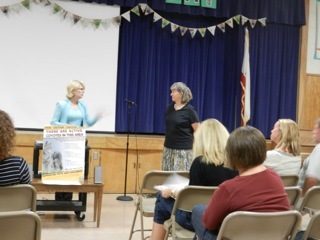 Several members of the community raised excellent concerns - many had lost pets to coyotes. In a nutshell, Myers told us that coyotes are here to stay. He explained that studies have shown that if the coyote population is "thinned out" it quickly returns in greater numbers. He cautioned all residents to keep their pets inside. Because the owners feed the pets commercial food, which is sweet, coyotes have acquired a sweet tooth - our pets. He told us that coyotes are usually on the prowl at sunrise or sunset, but admitted that they've been seen throughout the city at all times of the day and night. He indicated that the breeding season is January - March, so the summer is when you can expect to see greater numbers prowling our neighborhoods. He told us that they tried trapping coyotes - a very time-consuming and not very productive process. Trapped coyotes are NOT relocated, they are exterminated. His primary solution - keep your pets inside and/or be sure you're attending them at all times when they are outside. In theory, remove the food source and the coyotes will return to their traditional habitat - the Newport Back Bay and the Santa Ana River bed. Activist Christy Roget made a brief presentation about the organization she's formed - Project Lucky, named after her dog that was killed by a coyote - to help coordinate the reporting of coyote sightings. She requested that coyote sightings be reported to 1-855-7-COYOTE. 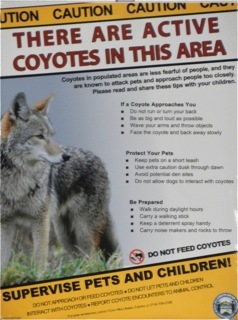 She also created a sign, shown below, that will soon be appearing in parks and other areas around Costa Mesa reminding residents and visitors of the potential danger from coyotes. I must confess that from time to time as coyotes were discussed I thought we might have been talking about Costa Mesa's homeless population. CMPD Corporal Doug Johnson gave us current crime statistics for three of the Reporting Districts most proximate to the location of Woodland Elementary School. Crime is up 17% and much of that is attributed to the proximity of the motels along Newport Boulevard. He also spoke briefly about the deployment of officers throughout the city and emphasized that Chief Tom Gazsi's top priority is to have patrol at full strength at all times. Lately, this had meant diverting other resources - like Corporal Johnson himself - from their primary duties to cover the patrol areas. It has also meant significant overtime being required. 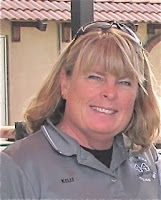 One of our favorite crime fighters, Kelly Vucinic, emphasized communication as a tool. She discussed the Neighborhood Watch program and reminded the audience that they must remain alert to unusual circumstances in their own neighborhoods. She offered information about the Citizen's Academy - an 11 week course in which participants learn about all phases of policing. The next class begins in February. You can reach her at kvucinic@costamesaca.gov. 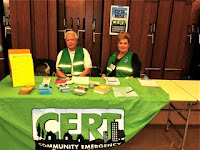 Larry Kinsella of the Community Emergency Response Team - CERT - gave a brief overview of his group's activities and invited audience members to join them. Diane Hill spoke of her group, United Neighbors, and how her communication network can be useful to spread timely, important information and be especially valuable during times of emergencies. City CEO Tom Hatch once again tossed himself into the mix, braving the critical questions of the members of the audience. He told us about the Neighborhood Improvement Task Force - the team of city employees that is tightly focused on resolving some of the more insidious issues in the city - homelessness, problem motels, rehab homes and "other crime attractants". 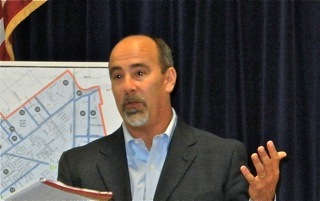 He brought with him a four-page memo recently distributed to the City Council and staff outlining some recent initiatives toward their goals. He discussed the additional code enforcement officers hired and the three more about to be hired to help monitor and enforce some of those pressing issues. BIG NEWS - MORE COPS! Hatch also addressed the up-coming crime mapping project and confirmed that crime is up 17% from a year ago. He told us that the city is in an aggressive hiring mode for more sworn police officers. He mentioned that we should have six (6) new entry level officers on board by January, will be hiring two (2) lateral officers as soon as possible and have eight (8) reserve officers in process now. He also mentioned his intention to hire well beyond the current authorized strength, 131 sworn officers. He said he wants to have 141 officers on board to fill anticipated vacancies. I spoke with him later and he confirmed that, in the case of those six new officers, it will take a bare minimum of one year for them to be functional on the streets. 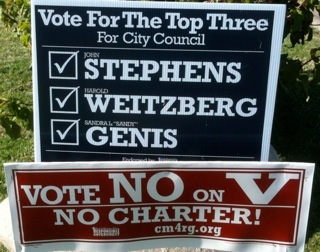 In the meantime, retirements are beginning to stack up. Also, it is still unclear whether Assembly Bill 340, which becomes state law January 1, 2013, will satisfy the City Council and permit the CMPD to actually hire new officers. The council has been stiff-arming the police association on that issue - refusing to negotiate with them. Hatch did acknowledge that any officers hired as laterals might have to be hired at the 3% @ 50 formula if the department they leave uses it. I was encouraged by some of the things Hatch said last night, particularly about increasing the number of officers on staff. The city has been dealing with rising crime levels ever since members of the current council arbitrarily chose a low staffing number without any facts to back it up. If Hatch and Gazsi are successful in getting the number of officers on the payroll up to 141 it should go a long way to helping lower those crime stats. We'll see. hiring laterals would give them the 3@50. it is called legacy in pension terms. new hires, after January 1, no 3@50. This is how i have heard it explained but who knows if it is totally accurate. Anyone? That's what Hatch said. Lets see if it happens.